As I've probably mentioned before, Watford in Hertfordshire, UK is one of my old stomping grounds. Some good bands have come out of the area over the years and listening to Breaking Illusion's debut album 'The Event', I'm pleased to say that trend appears to be continuing! Only formed in late 2012 this three piece band have not hung around as this album was released over a year ago! 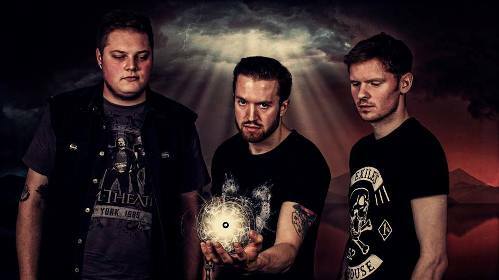 Breaking Illusion describe themselves as Progressive Groove Metal/ Rock with influences as diverse as Rush, Black Sabbath, Iron Maiden, Dream Theater and Tool and I really cannot argue with any of that! There is a modern progressive, slightly alternative feel to their music, similar to a band like Agent, but there are certainly nods to all the above mentioned bands and styles. 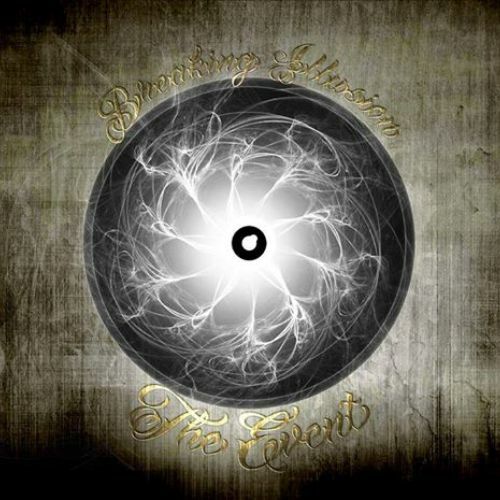 'The Event' kicks off with dark instrumental 'Breaking Illusion' and it sets the scene for a journey that is not immediate but, once you've played these tracks a few times, they burrow into your brain! First track proper 'Through This Hell' has a really groove laden 70's Rush feel with meatier riffs. and the following 'You' does similar with a Sabbath/Primus vibe! Bassist Richard Airey (who, by the way, also became vocalist when the band couldn't find the right person for the job and sings very well) is superb on the bass. His playing needs to shine through as there is only one guitarist and he projects some great melody in real Geddy Lee/Les Claypool fashion! Two part title track 'The Event Pt1 & Pt2 comes next and is the centrepiece of the album for me. It perfectly encapsulates what Breaking Illusion are trying to achieve on this album. It's brooding, haunting and actually quite disturbing in places, especially when the lyrics are delivered in a hushed whisper, which of course means I love it. The intros to both parts are very Sabotage era Sabbath and it's on these songs that you really start to hear the great playing of guitarist Chris Davies. He effortlessly switches between the more intricate and melodic solos to heavy Iommi riffing and it really makes you sit up and listen! Final piece of the puzzle is drummer Lee Chitticks who complements and swaps between hard hitting and softer, more reserved, but exciting rhythmic gymnastics! I'm not so keen on the production of 'The Event', the drums sound a bit tinny and everything could do with a bit more bite, but the songs carry Breaking Illusion through that area! 'Overall, 'The Event' is a mature, deep and intriguing debut album and if the band can deal with the production issue, but still write commandingly catchy tunes, then Breaking Illusion's next recorded output is going to see them with a lot more publicity!